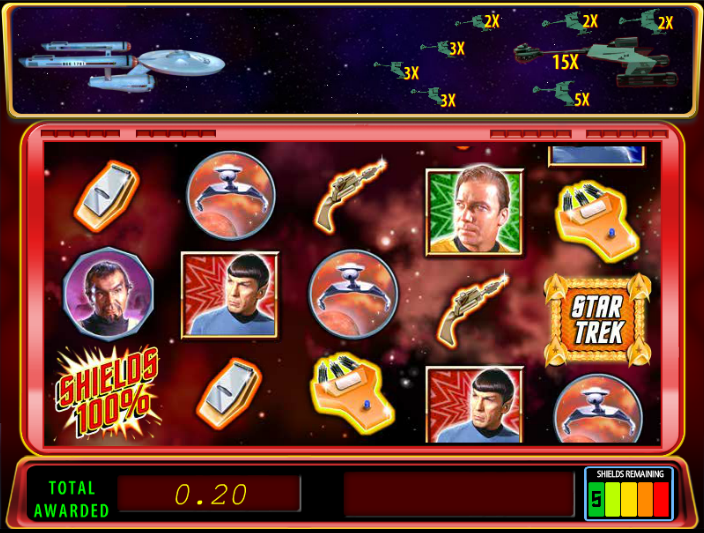 Star Trek Red Alert slot machine is based on the popular TV series that aired between 1966 to 1969. 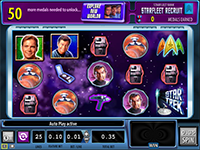 It's a wonderful online slot with exciting features and memorable characters from the original cast of the TV show like Dr. McCoy, Spock, and Captain Kirk. Other symbols include the Evil Guy, a Medical Tricorder, a Communicator, Starfleet Insignias, Phaser Pistols, Klingon Birds, and a Feature icon. 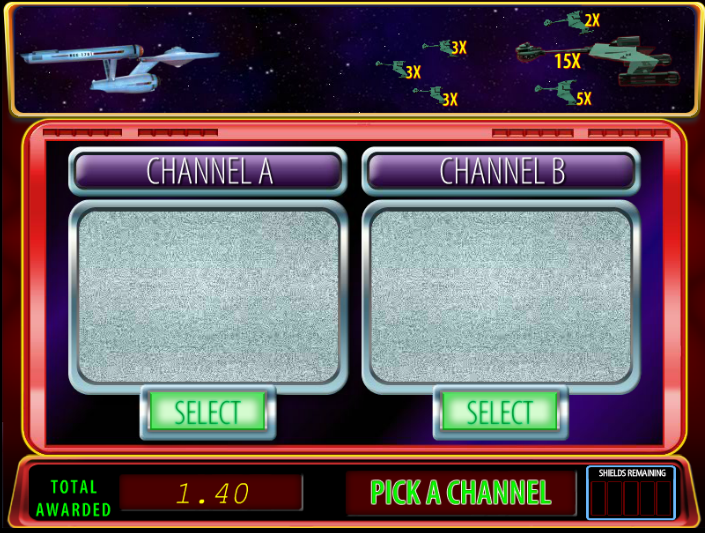 The slot features truly retro graphics that will open you up to the new frontier of the galaxy beyond. The exciting Star Trek Red Alert slot machine by WMS is based on the popular TV series that aired between 1966 to 1969. 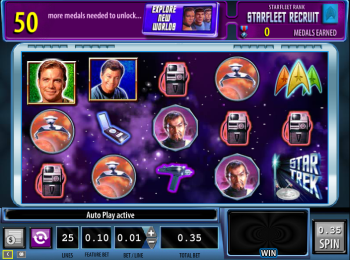 It’s a wonderful online slot with exciting features and memorable characters from the original cast of the TV show like Dr. McCoy, Spock, and Captain Kirk. Other symbols include the Evil Guy, a Medical Tricorder, a Communicator, Starfleet Insignias, Phaser Pistols, Klingon Birds, and a Feature icon. 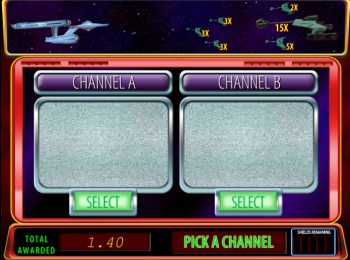 The slot features truly retro graphics that will open you up to the new frontier of the galaxy beyond. A neat feature of this game is level status box at the top of the reels. As you progress through the game, you will advance to the next episode where you can explore new worlds. There are multiple Star Trek episodes for you to discover and each one comes with a different intriguing story. There is a plethora of features in this online slot and it starts with Scotty’s Wild Reel. Scotty will appear and fill up 1 or 2 reels entirely with Scotty Wild icons. 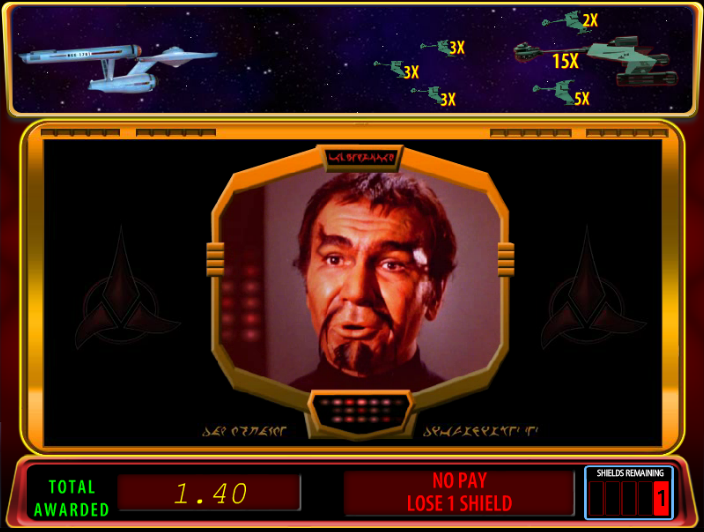 In addition, when the Spock Multiplier appears, wins will be subject to a multiplier ranging from 3X to 10X your win amount. Another fascinating feature is the Enterprise Fly-By features. 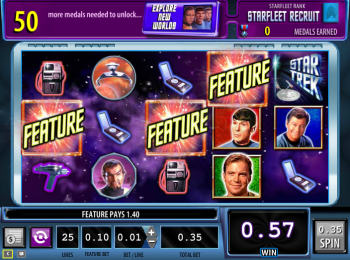 When the Enterprise ship zips by, all winning combinations will change into one of the following icons: Wild, Feature, Insignia, Spock, Kirk, or McCoy, further optimizing payouts. The Star Trek logo is the wild symbol. Three or more Feature icons will unlock the Red Alert feature which will award you with unlimited number of spins. 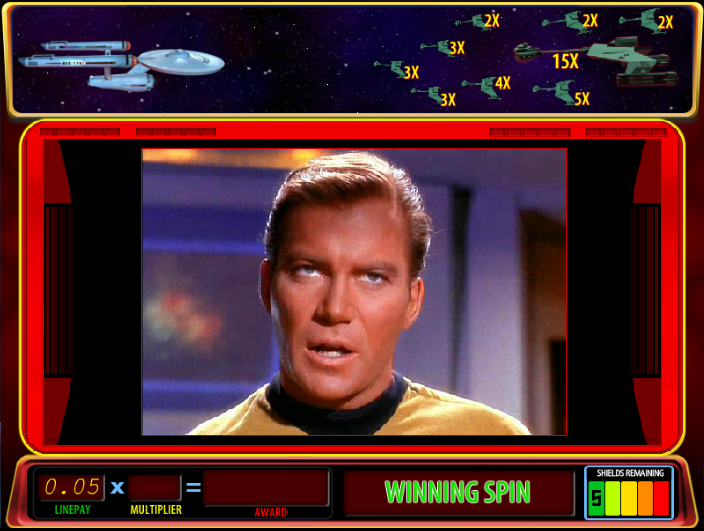 An alternative set of reels is used during free spins, and every winning spin blasts away one of the potential multipliers, multiplying free spin wins by anywhere from 2X to 15X. For every non-winning spin, you will lose 1 of 5 Shields. The bonus round will come to an end when you lose all 5 Shields. If you lose some shield power, you can re-power Shields back to 100% by getting 3 or more Shields in one spin. Five Feature symbols on the reels will award a payout worth 75 coins. 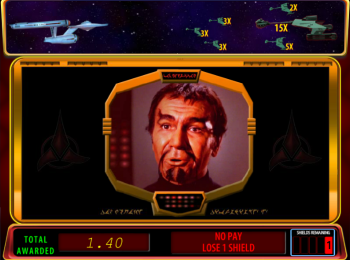 Each time you trigger the Red Alert, you will receive a Medal, but you will also win a Star Trek Medal each time you land a 15X multiplier. 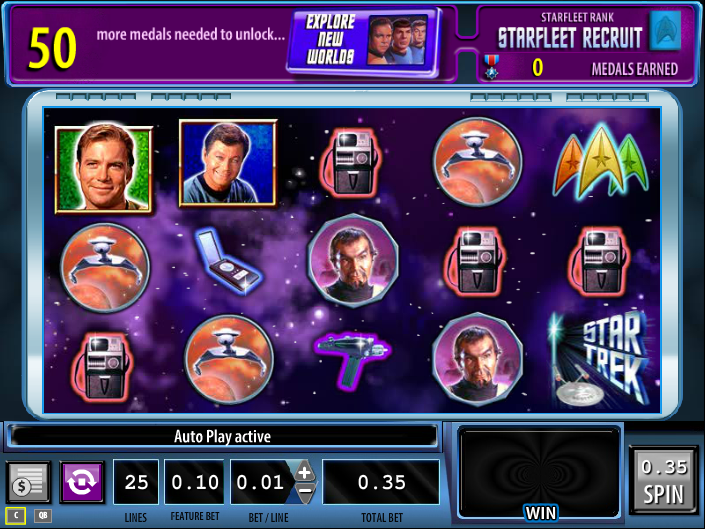 Once you collect a total of 50 medals you can advance to the next Star Trek episode. Select your bet size, number of paylines that you’d like to play, and spin to win!